This Caribbean-themed evening is guaranteed to heat up your holidays! 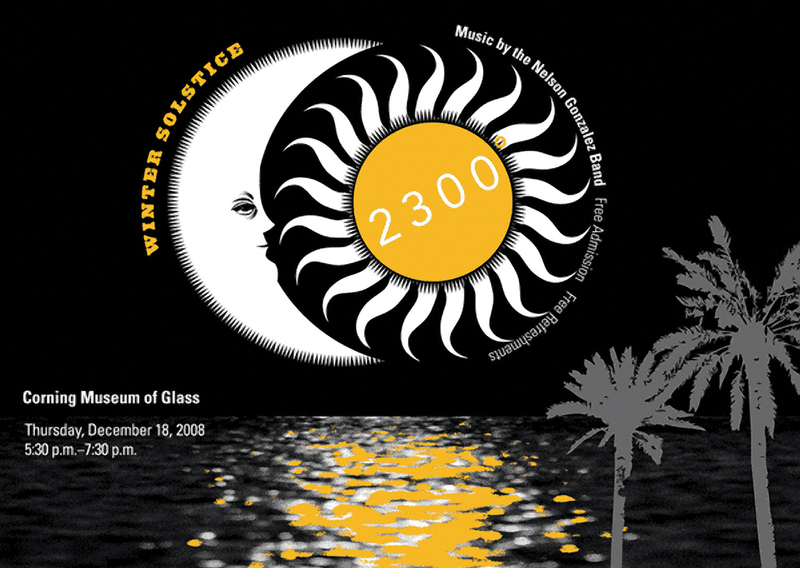 Come out and celebrate the launch of the Hot Glass Show on the Celebrity SolsticeSM. The Hot Glass Show Sets Sail! The Hot Glass Show has officially launched on Celebrity SolsticeSM and we celebrate here in Corning with Caribbean-themed glassmaking! Glassmaker Lewis Olson, having just returned from the ship, joins us on the Museum's Hot Glass Show stage. Watch as he makes shells, fish, and other objects inspired by his time at sea! The Afro-Caribbean sounds of Latin Grammy nominee Nelson Gonzalez evoke warm visions of sandy beaches and palm trees. Master of the Cuban Tres guitar, Gonzalez has played with Latin music greats like Gloria Estefan, Tito Puente, and Marc Anthony. Local Caribbean flavor is provided by the Dundee Symphonic Steel Drum Band of Dundee High School. Touring the world, they use these traditional West Indies instruments to create great music. Enjoy complimentary hors d’oeuvres and soft drinks. Heartier fare is also available for purchase. Members receive one free ticket for either food or drink with presentation of membership card.